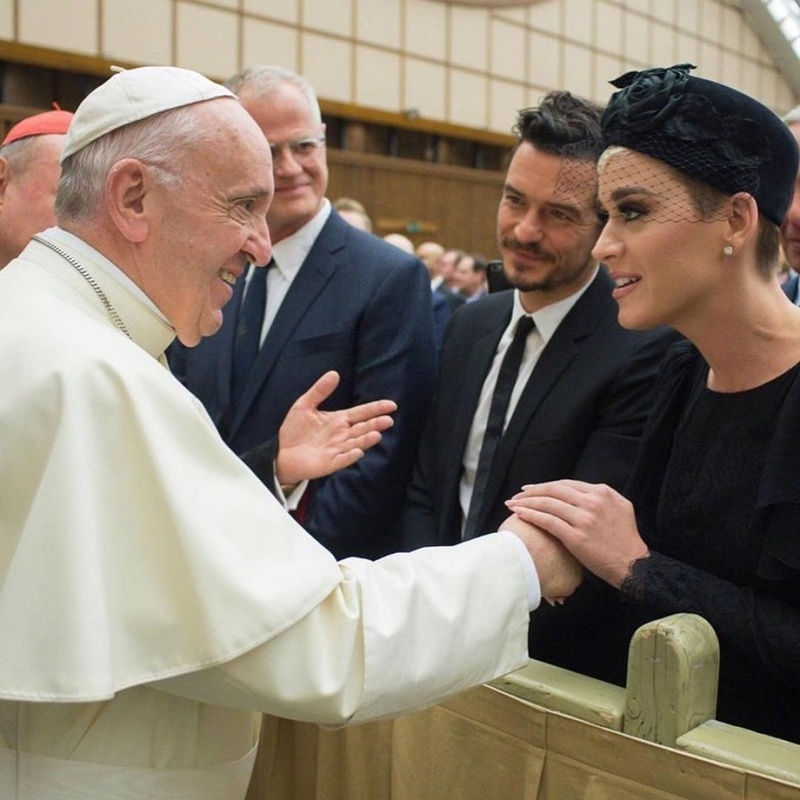 Katy Perry shared on Instagram a photo and video documenting her trip to the Vatican and meeting with Pope Francis. "Honored to be in the presence of His Holiness @franciscus' compassionate heart and inclusivity. Thank you to @meditationbob and #TheCuraFoundation for making it all possible," the "American Idol" judge wrote early Sunday. "#UniteToCure." The message accompanied an image of the smiling pontiff greeting Perry and her on-off boyfriend, actor Orlando Bloom. Perry, 33, wore a long-sleeved, black dress and a hat with a short veil, while Bloom, 41, chose a dark suit and tie. The celebrities were in town so Perry could speak about how meditation has changed her life at the 4th annual Unite to Cure conference. The singer-songwriter also shared a video clip Saturday, along with a post that said: "I'm inspired and encouraged today, and grateful to share how meaningful transcendental meditation has been for me. I hope you'll choose to learn more about The Cura Foundation and how the newest technologies and cutting edge therapies are bringing hope to the world!"